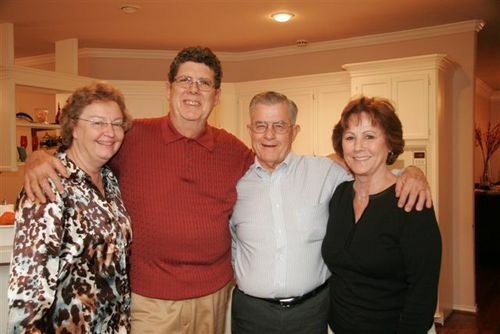 "This is a picture of Pat and me with Rodney and Sandra Preuit on Thanksgiving Day. Pat and I joined the entire Preuit family at the home of one of his twin girls, Karen. She had 35 people including her four Preuit siblings and their spouses plus her husband's extended family over for Thanksgiving dinner.